Happy New Year! Zillow just released their predictions for the Top 10 Bay Area Neighborhoods for 2017. Sunnyvale is set to be the leader. See if your neighborhood made the list. Speaking of Sunnyvale, my off market property is still available...let me know if you know someone that maybe interested. Some great news, a client of mine stole a house out from underneath the top 3 offers because the seller and I developed a bond beyond just making a sale. It's good to know that even in this market, relationships matter far more than the value of the $. TOP 3 OFFERS DIDN'T WIN! 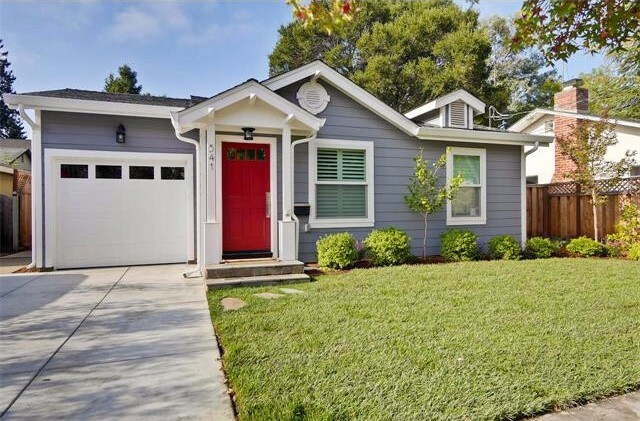 3 bed 2 bath, 1,590 sqft completely remodeled Mountain View home walking distance to downtown. Highest offer lost, as well as 2nd and 3rd place! Saved my client $45,000+ by making all the right moves. SUNNYVALE PROPERTY IN STEALTH MODE! 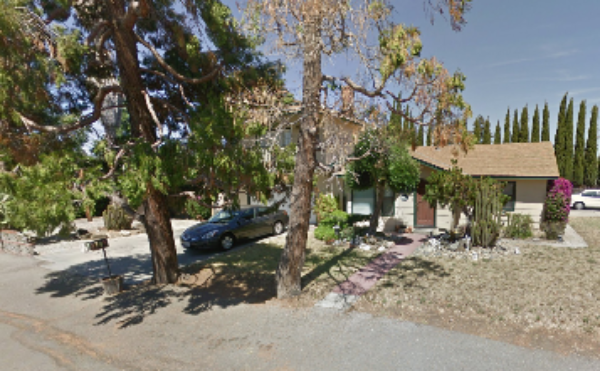 3 bed 2 bath, 1,450+ sqft plus a 600 sqft workshop, on a large 9,125 sqft lot. Location location location! 1.5 miles to the new Apple Campus, or 20 minutes to Google! Built in 1950 and needs updating throughout. Should sell around $1,400,000. Let me know if you or someone you know would like a private showing before we put it on the market. Inventory in the Bay Area can't get any lower. I heard on NPR that for every 10 families looking for a home there are only 5 being made. The thermometer on my graphic below is a representation of this strong demand. Any articles talking about sluggish sales as a negative aren't giving you the full picture. See here a comment I made directly to the author of an article regarding the potential negative impact they can have by leaving out the "supply" part of the equation. 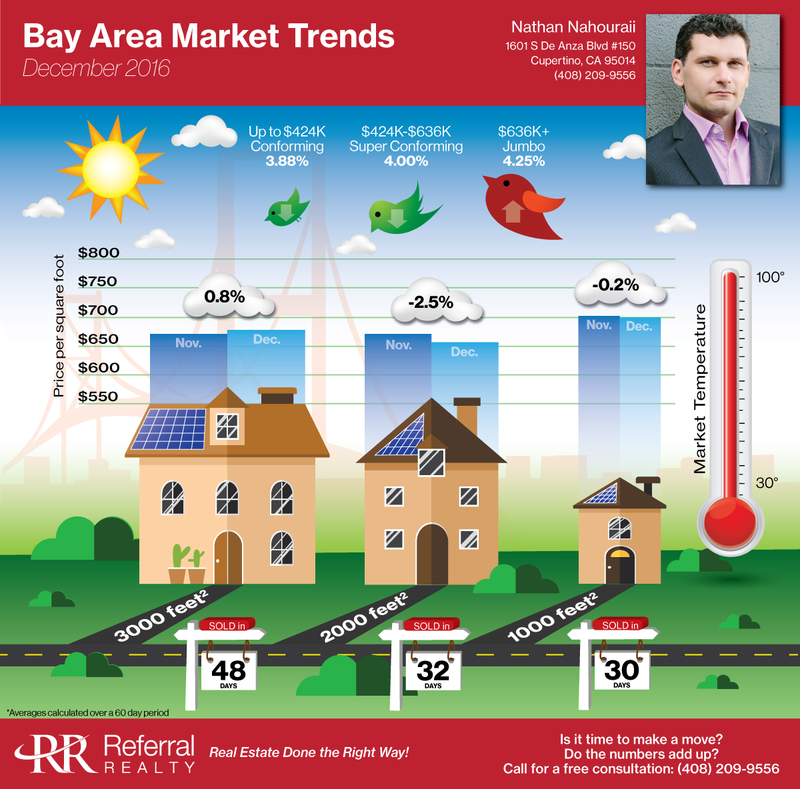 Zillow predicts hottest neighborhoods in San Jose metro, Oakland, and San Francisco for 2017. Zillow has just trotted out its 10 hottest neighborhoods for 2017 in the San Jose and San Francisco metro areas — and they're not necessarily the ones you would have predicted. Yes, several are in Palo Alto: the Old Palo Alto, University South and Duveneck-St. Francis neighborhoods, all with homes valued in the millions of dollars. Copyright © 2017 Referral Realty, All rights reserved.